The James Corden-voiced iteration joins the "Save The Food" campaign in a new commercial. From José Andrés to Anthony Bourdain, chefs around the world are joining the battle to end food waste. But now, they've been joined by fresh produce's biggest celebrity proponent of all: Peter Rabbit. Yes, on Feb 9 of this year, the new Peter Rabbit movie will be hitting theaters, and the new, CG-animated version of Beatrix Potter's beloved rabbit, (voiced by James Corden) is taking part in the "Better Ate Than Never" campaign to reduce food waste. If you haven't heard, food waste is a massive problem in the food world that affects children and adults (of both human and non-human varieties) alike. Every year, 40 percent of food in the US is thrown away without getting eaten, contributing to the 1.3 billion tons of perfectly edible food that are lost or wasted worldwide annually, according to the United Nations' Food and Agriculture Organization. Considering that almost a billion people go hungry every day in a world that produces more than enough food to feed everyone here, it's worth being aware of from an early age. 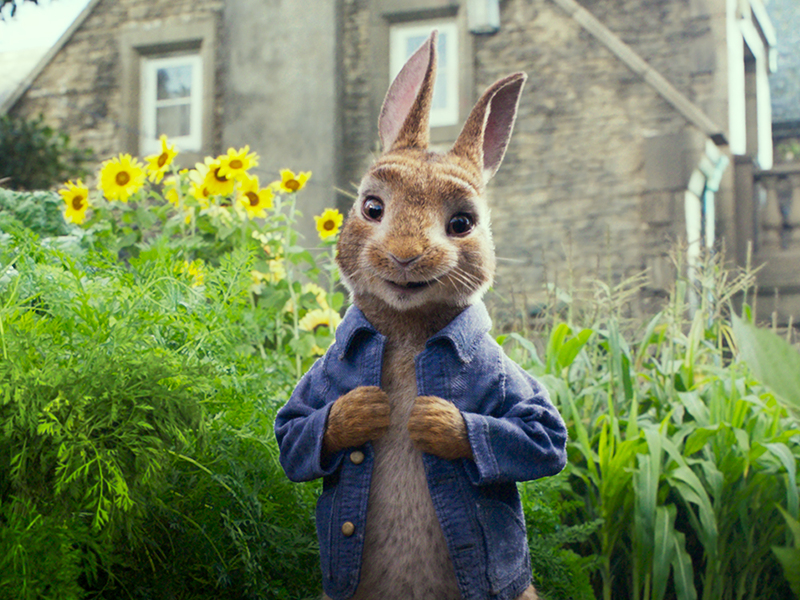 To that end, The Ad Council has joined with Peter Rabbit to produce their latest TV spot, narrated by the eco-conscious character himself. While, he says, he loves nothing more than sharing vegetables with his friends, everyone can better give our food "the utmost respect it deserves" by taking a few simple steps. Those steps are pretty simple: either cook it, store it, or share it instead of wasting it—and head to SaveTheFood.com for more info. There, it joins several other videos from the Save The Food campaign, including "The Life and Times of Strawberry," a fairly tragic story of food waste told from the perspective of strawberries, as well as tips and tools on how to buy, cook, store, and share your food in a way that cuts food waste as much as possible. Since Beatrix Potter was a scientist and conservationist herself, it makes sense that her best-known creation would follow in her footsteps.